I’ve seen a lot of macarons in my day, but none that look quite this adorable. 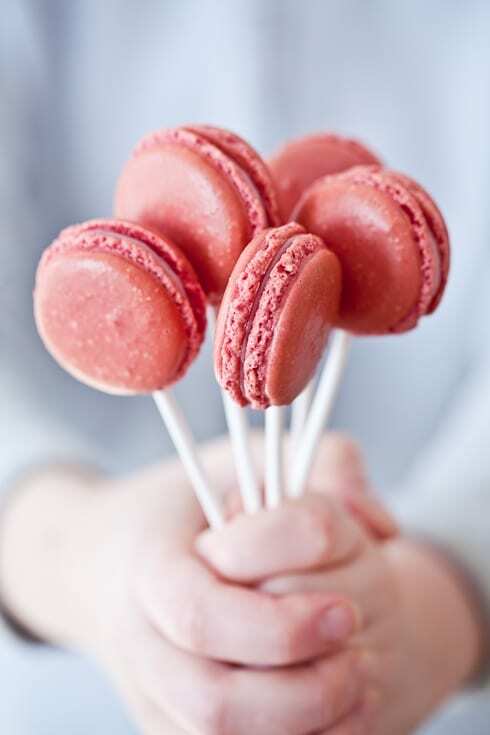 Raspberry macaron pops. Brilliant! People put hot dogs on a stick, why not dessert? 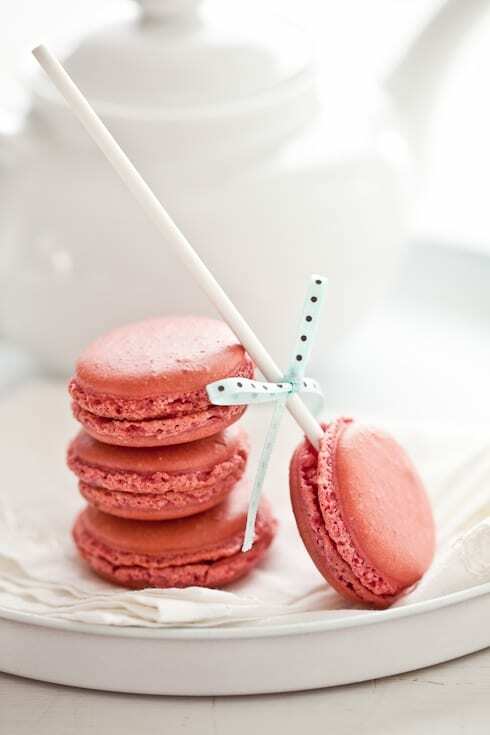 I love these pretty raspberry macaron pops, a simple macaron on a stick. Bunched together or tied with simple ribbon, they look so pretty and so festive. For some reason these make me think of Easter – I feel like I’d love to see a big bouquet of macarons sticking up out of an Easter basket. Simply because it sounds like fun and fun is what I do best.